Join the discussion on our forums! Come discuss Malkorok over in our dedicated Malkorok discussion topic. I pretty much use him in all my Control Warrior decks since he's so useful. With Cursed Blade rotating out of Standard next year he'll be even more useful. 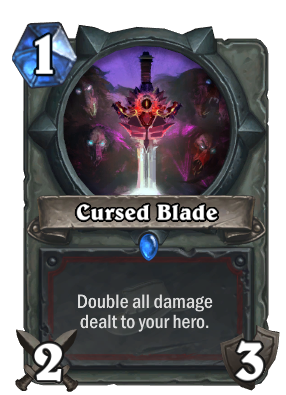 Cursed Blade rotating out hype! 50% chance to equip a 4 mana or better weapon, 5% chance to lose the game with Cursed Blade. 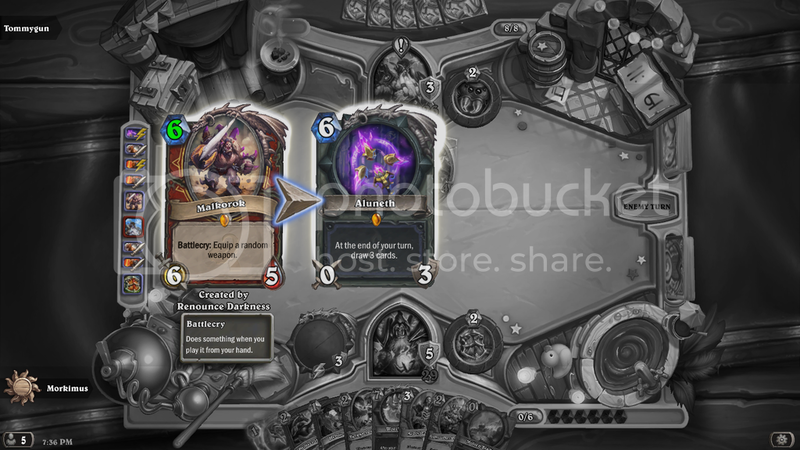 I just love playing this card, those moments when Malkorok gives me the perfect weapon that wins me the game are some of the most fun times I've had in Hearthstone. I've gotten Cursed Blade quite a few times, but I've gotten Gorehowl about twice as much as Cursed Blade. 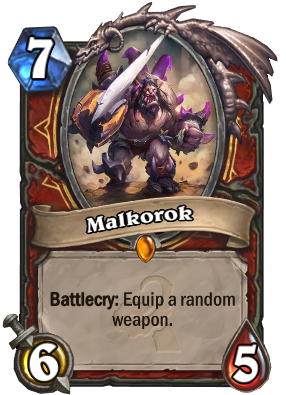 Malkorok often gives me things like Doomhammer, Gladiator's Longbow, or Truesilver Champion too. Well worth it, although sometimes the game can be in a state where playing Malkorok at all is a bad idea. 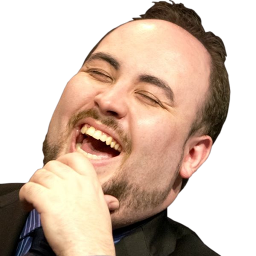 Like when the only way you can possibly lose is by getting Cursed Blade, and when it happens boy does it feel bad. I learned my lesson on that one. Because Blingtron 3000 isn't in standard anymore. My favorite thing to use Rend Blackhand on. "The true Horde cannot be stopped!" I opened him from a pack in the starting days of WOG. I felt a little disappointed because even though I thought it was going to be a great card, popular opinions influenced me a bit. I tested him though, and now it's a staple in Tempo Warrior. I think this is one of the best cards in the deck even if it gives a mediocre weapon like Argent Lance. Of course he can equip Cursed Blade, and even though it is a terrible situation you might still recover, by equiping another weapon or protect yourself with taunts. Even Poisoned Blade is not that bad. Anyways, would you play Malkorok if the opponent has no minions? It would lose the tempo swing factor but still gain tempo. Nonsense! Sometimes he gives you Light's Justice too! Can this card also award Ashbringer? No, it cannot equip collectible weapons such as Ashbringer.